This is a pretty minor facelift. 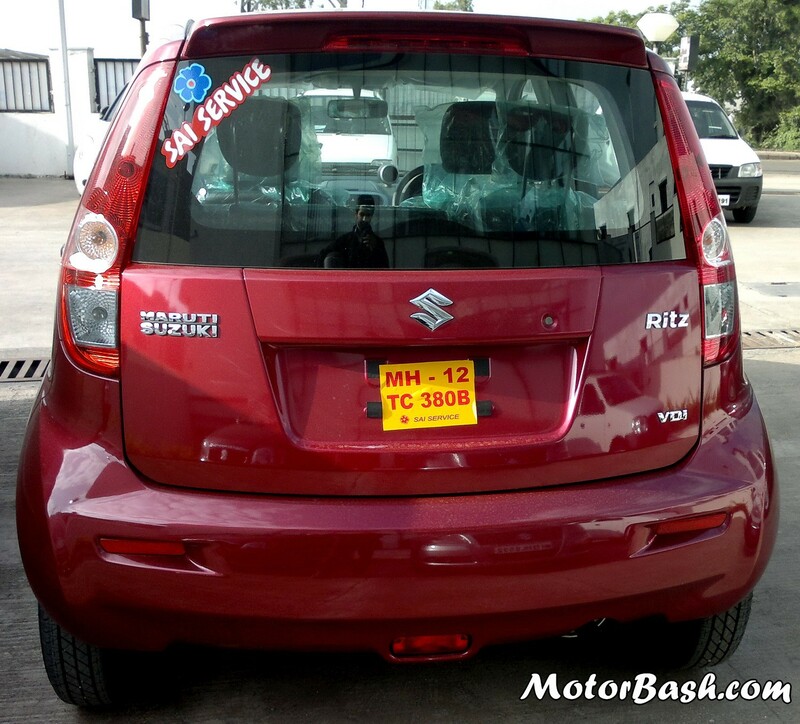 Maruti did not bother about people’s voices that Ritz rear needed betterment rather than the front. The new Ritz remains absolutely same from the back save for that spoiler. The older Ritz was available in 8 colors. There are a total of 6 colors for the new Ritz. Surprisingly, Maruti has decided not to offer ‘Midnight Black‘ (my favorite) along with ‘Pearl Racing Green‘. There are 3 new colors (or slightly different shades of existing colors) – Mystique Red (in place of Fire Brick Red), New Breeze Blue (in place of Pearl Blue) and Granite Grey (instead of Glistening Grey). We have posted pics of a few colors along with comparison with older Ritz. The side skirting has changed. 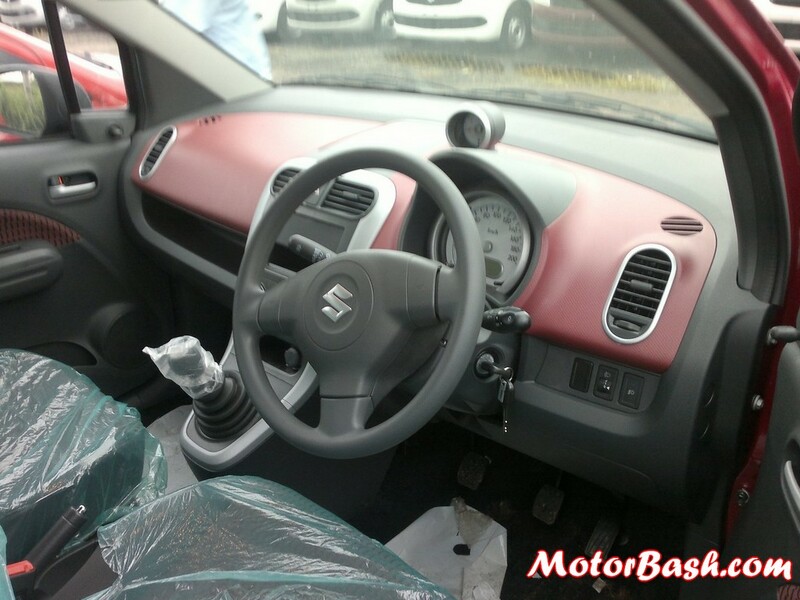 Talking about interiors, Maruti has played a little potpourri of stuff and even the sales person was all confused. 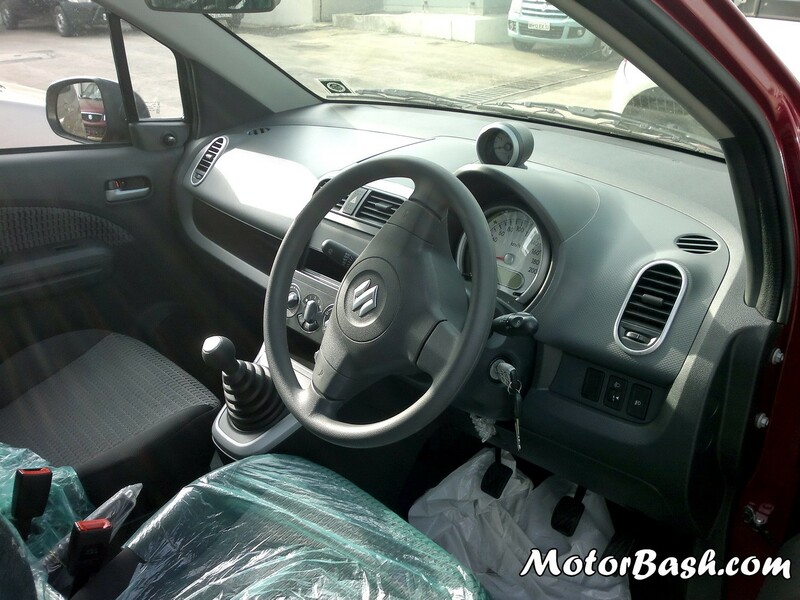 Basically the interiors are all same, the upholstery has been altered and there are options of red-colored dashboard as well. You, now, have an option of choosing red or grey interiors. The grey interiors are similar to the older Ritz with the seats and doors in neatly knitted combo of Black and grey. The red interiors have a prominent red colored dashboard along with red/black seats and doors. So, you have an option of choosing between these two interior trims provided you choose the mid-variant V or the highest variant Z. Also, these options are limited to White, Silver, Red and Bakers Chocolate colors. The base variant L doesn’t come with any option. That leaves us with remaining two colors – Blue and Grey. Blue is only available in grey theme interiors whereas the grey is available only in red theme interiors. Another change is the Multi-Information Display. It, now includes instant mileage calculator as well as range calculator which is very much a norm nowadays. Here is a pic of the same. There is nothing new with respect to the looks of it. There is no change in the engine specifications on paper. The new Ritz still produces 75PS of maximum power at 4000 rpm and 190Nm of class leading torque at 2000 rpm. The famous 2000 RPM kick is what the DDIS is known for. Now, this exponential power delivery does make it feel more powerful than what it is, it also makes it a little difficult for an average driver inside cities. 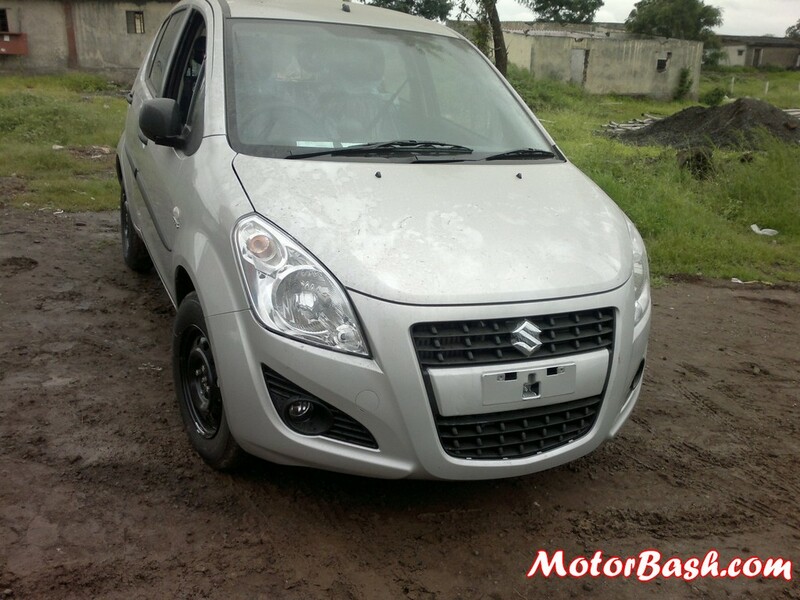 Maruti did it with the new Swift and here is the answer to the increased mileage! The turbo kick is pretty much present but it has been mellowed down. As the rpm builds up, you do feel a turbo kick but there is not the same sudden surge forward. The power delivery is more linear now which is definitely a work in increasing the mileage of the car which now is 10% more and is ARAI rated at 23.2 kmpl. The strong mid-range is traded-off here probably. However, the engine felt a little more refined at lower and mid revs. 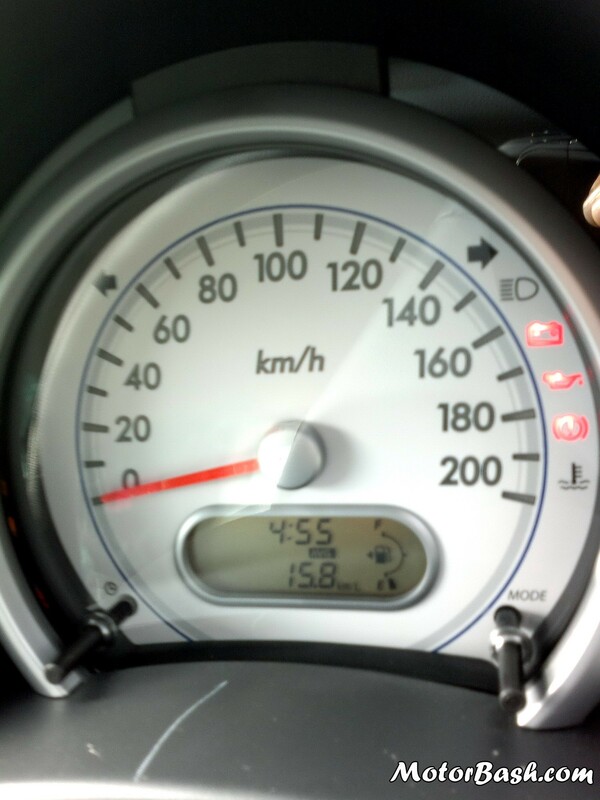 I also felt the lag under 2000 rpm to be slightly lesser than before. This also means that driving would be relatively easier on the new Ritz but for aficionados who are hard revvers might be a little disappointed. For a normal Joe, however, all this is good news since the change is not big-time prominent and the power and torque are in abundance. Added fuel efficiency also helps matters here. The steering feedback, suspension and everything else seemed pretty much the same as I experience in my (now older) Ritz. The listed observations are based on a pretty small test drive which included only a stretch of a narrow road. The car was just out of the factory and was not even octroi-paid (as informed). The more interesting and a big positive change is the introduction of the top-of the-line ZDi version. This means you, now get safety features along with a better equipped car which was not the case earlier. 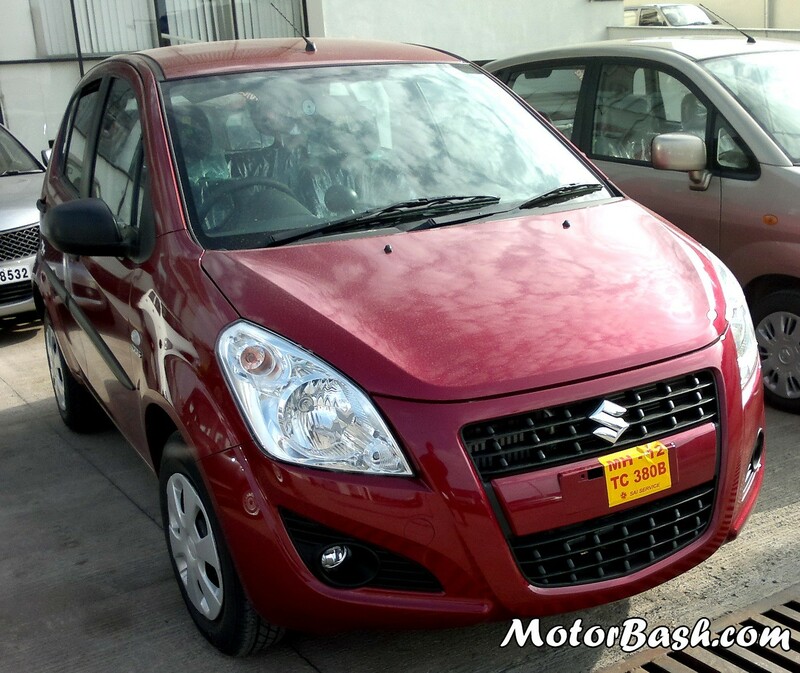 With this facelift Maruti has also hiked the price of the new Ritz but the hike is not exorbitant. Here is a list of all the variants along with their prices. 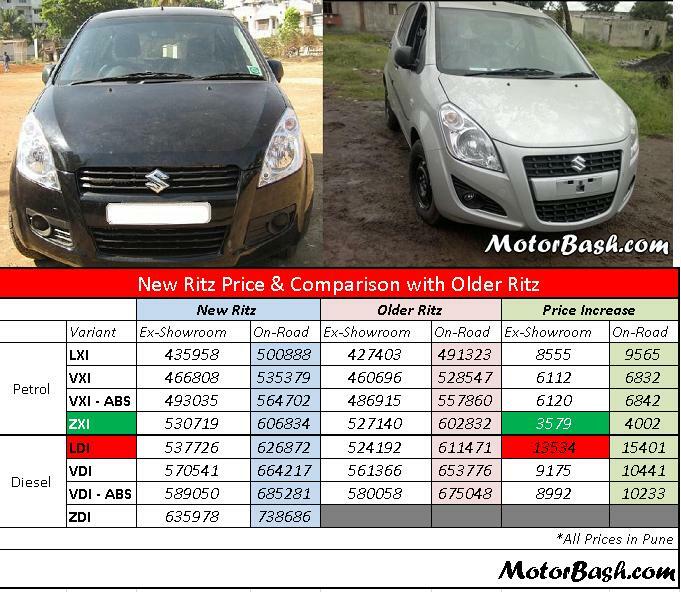 There is also a comparison with prices of older Ritz in Pune to give a glimpse of how much have the prices gone up. Availability has never been a big problem with Ritz. It averages monthly sales of somewhere around 5,000 units with the diesel forming the major chunk of it. I got my Ritz diesel in a couple of days flat. The new Ritz, as per the local dealers here in Pune, is available off the shelf. Color choices is all what might delay your car’s delivery. Where is New Ritz in Petrol? No one but Maruti knows about this. The petrol version of Ritz is definitely coming in new looks and changes but it has not reached dealers yet. There is no formal announcement yet as well. We assume that looking at the festive season ahead, Maruti played safe and launched only the diesel version for now to fully concentrate on diesel Ritz production. Petrol Ritz in new avatar would come later. 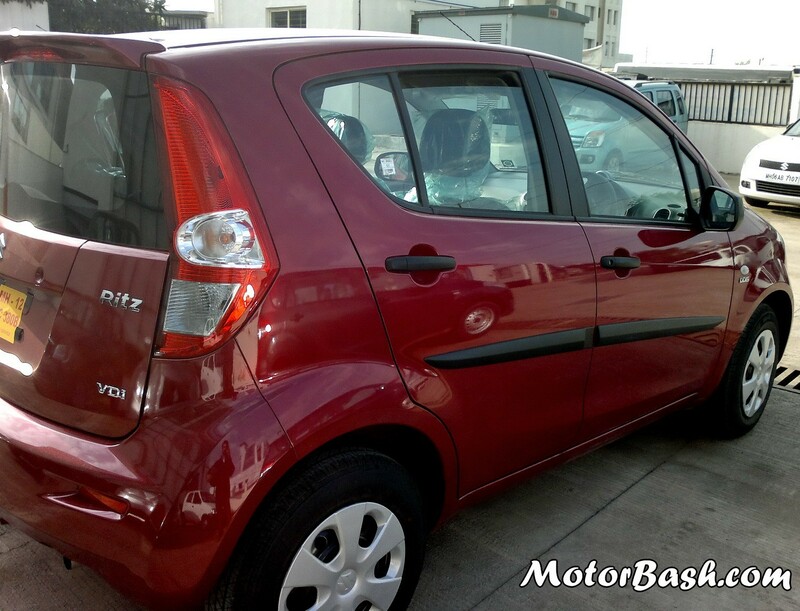 For more pictures of the new Indian Ritz, Click here. If you are interested in knowing about the price increase on older Ritz in the last 15-18 months, click here.